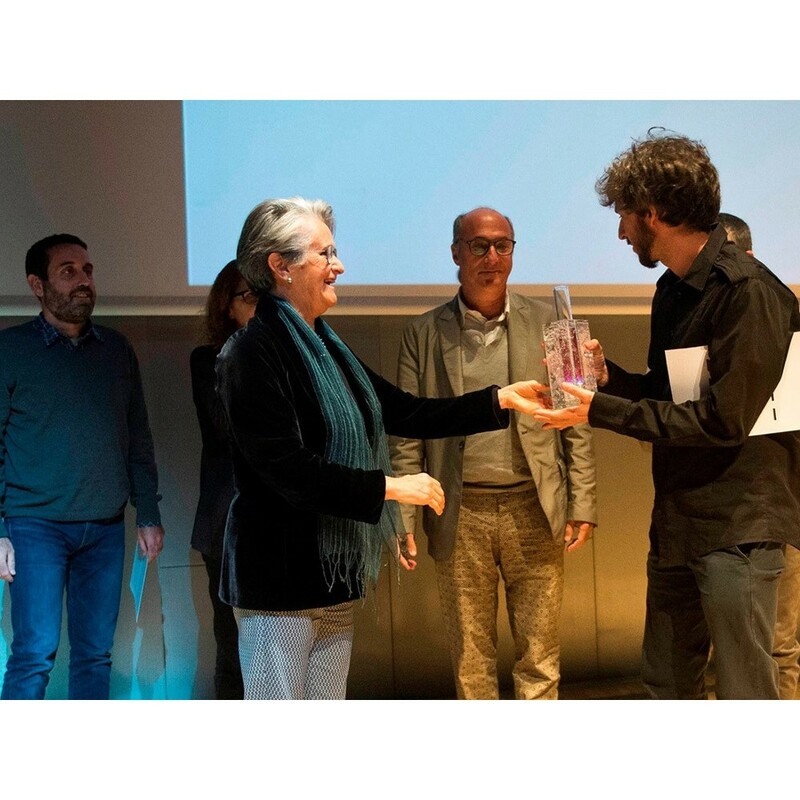 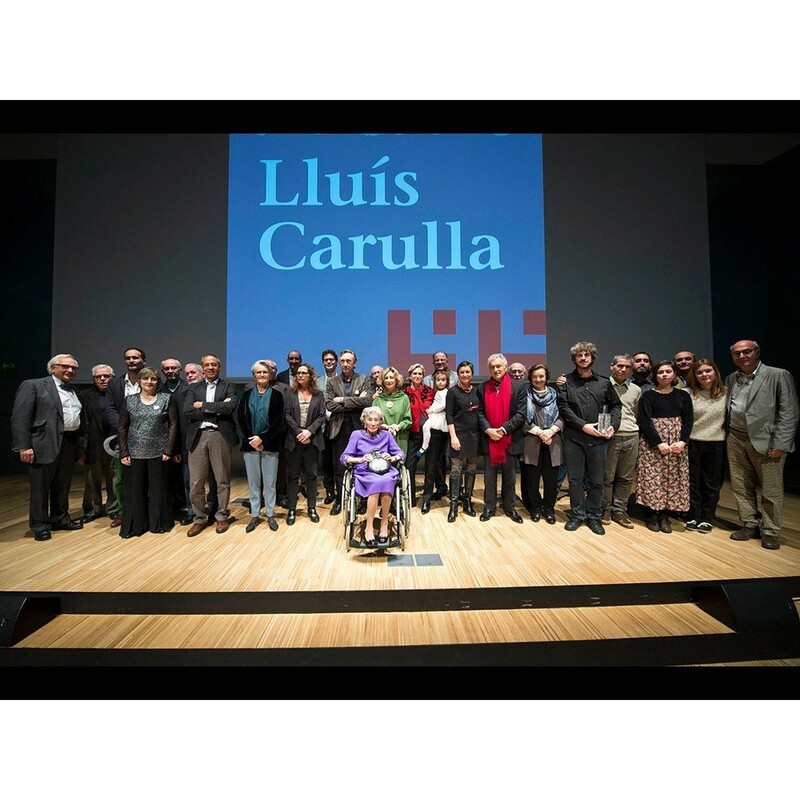 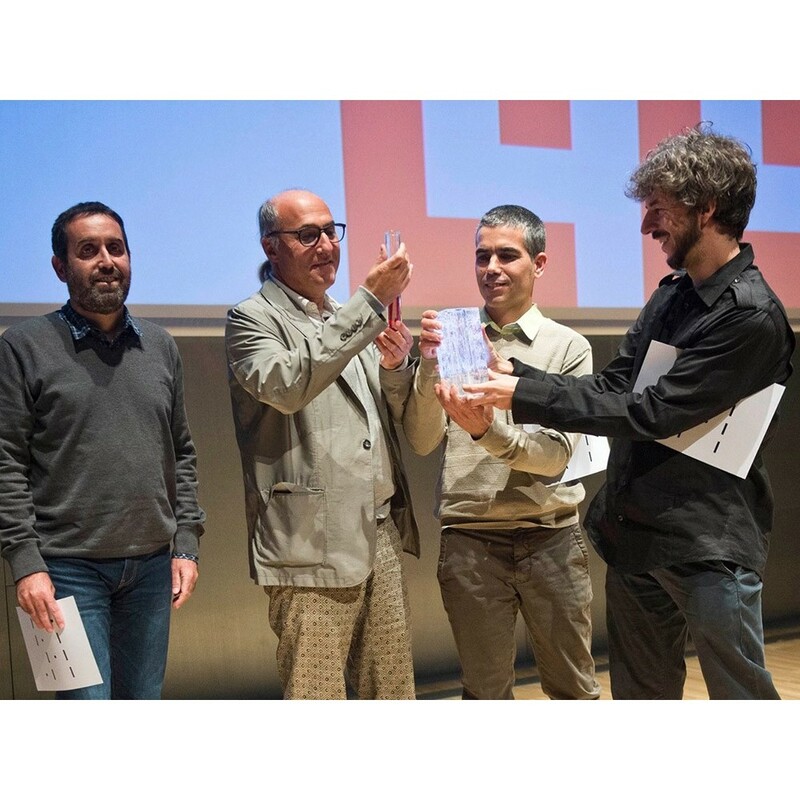 Sculpture-trophy for the "Premi Lluís Carulla d'estímul a un projecte cultural 2015"
Trophy for the "Premi Lluís Carulla d'estímul a un projecte cultural 2015". 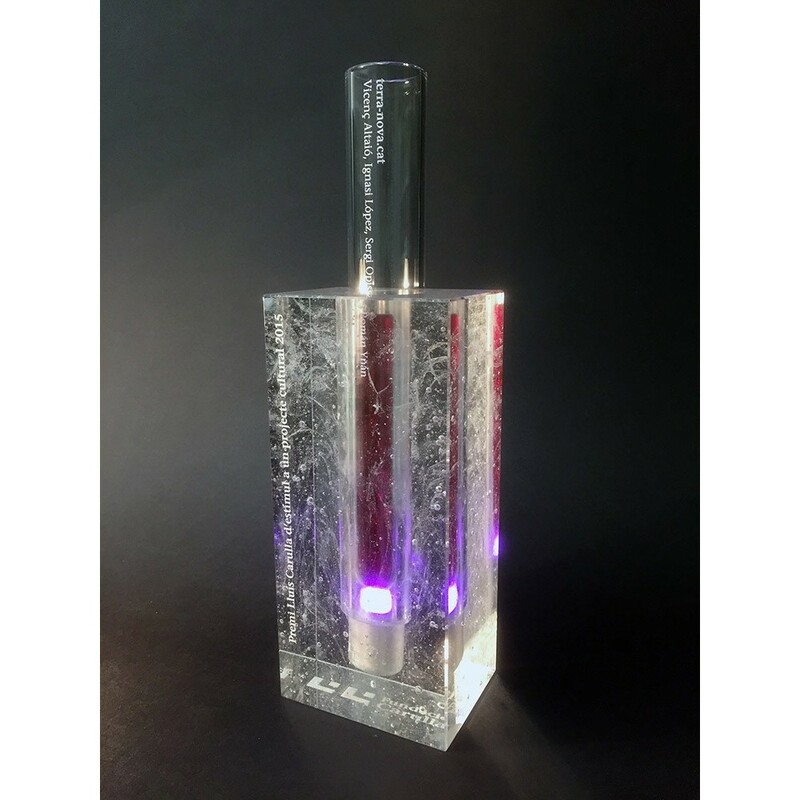 Sculpture made of glass and silver consisting of several pieces that fit together. 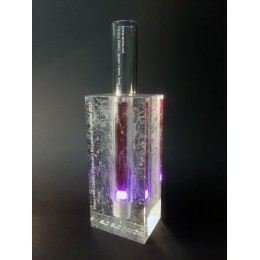 A magenta colored casting glass piece fits into a test tube glass and this in turn inside the main block, also made of glass by the technique of casting. 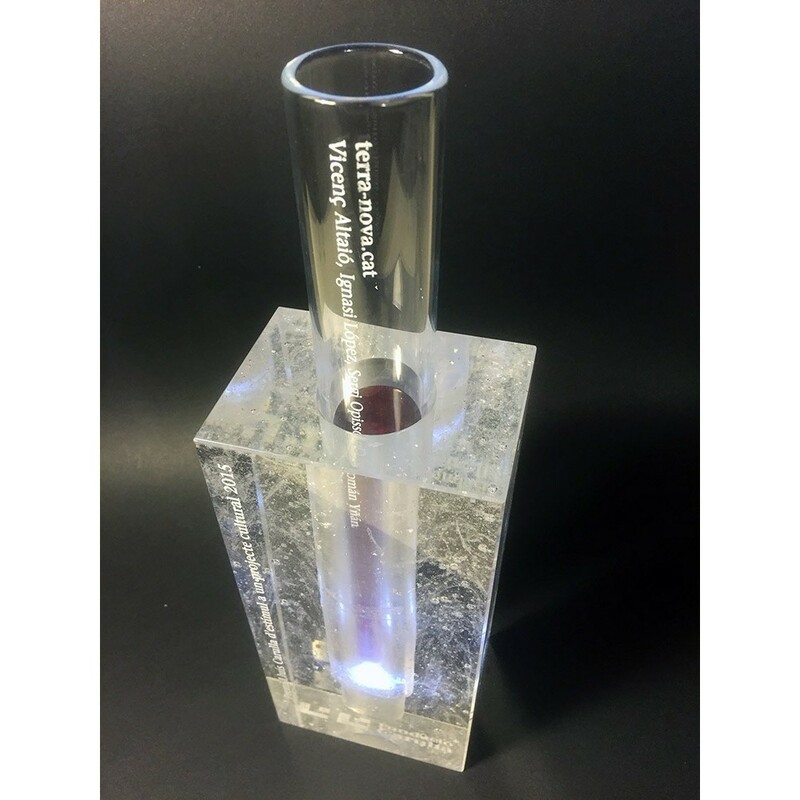 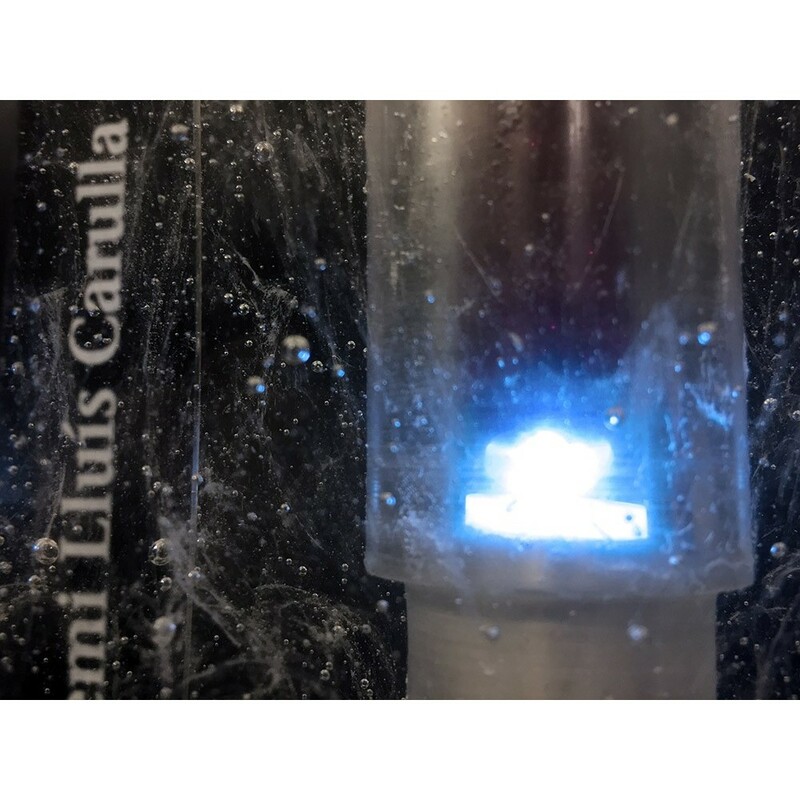 A silver device with an integrated LED lamp is housed under the test tube and can be switched on giving it light. 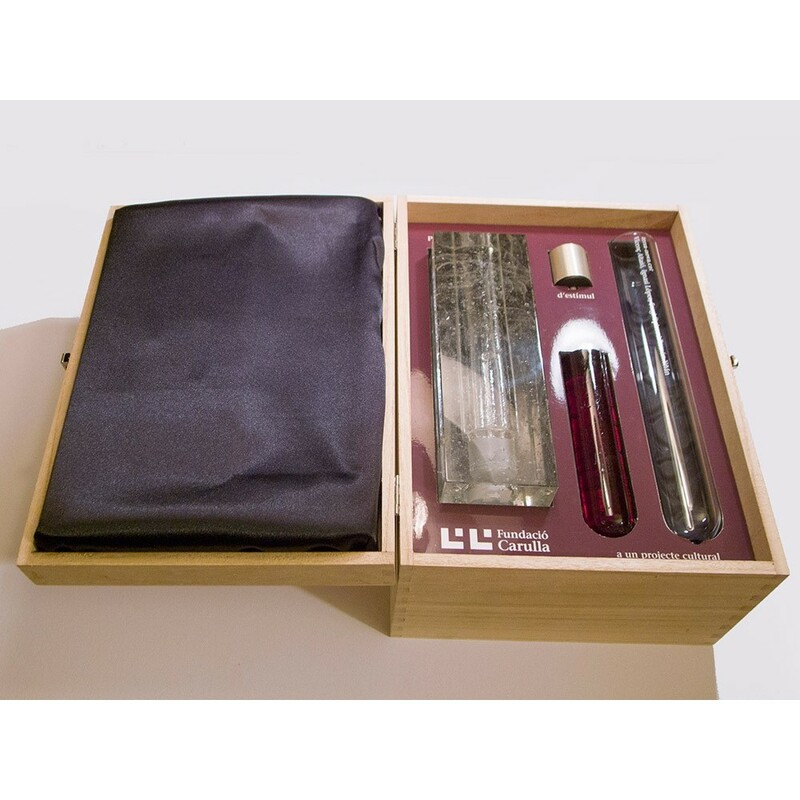 It represents a biological culture in a test tube to which energy is supplied to germinate. 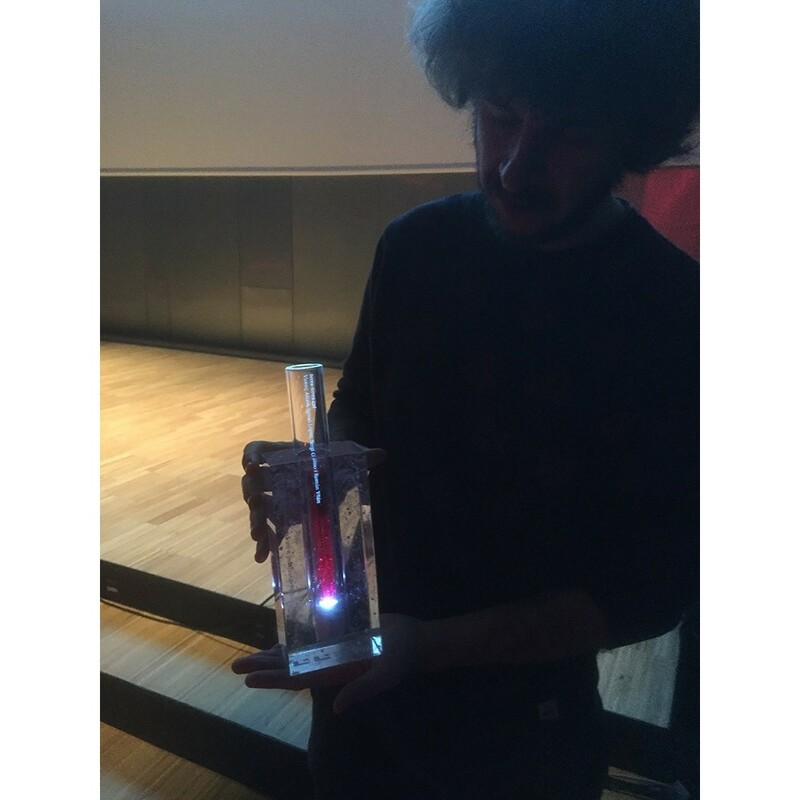 And symbolizes the stimulus that this award wants to give to the winner cultural project to help him to birth.